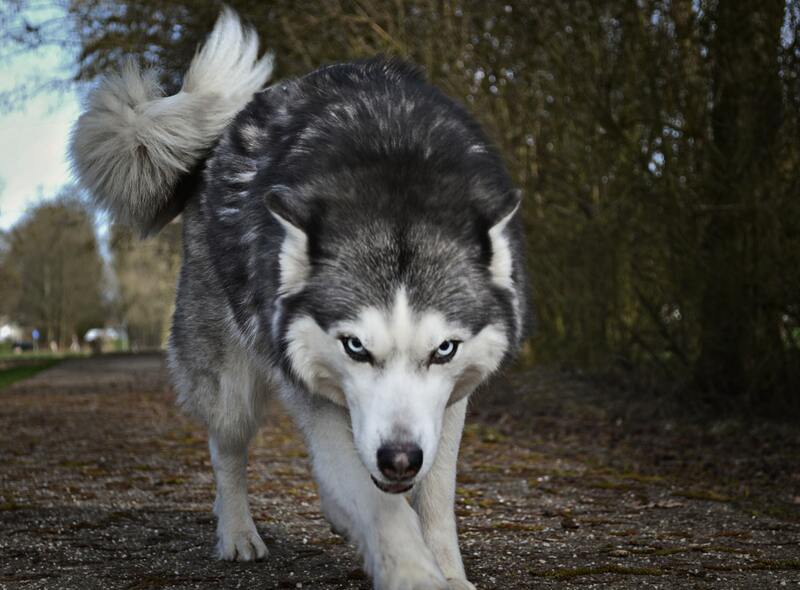 Home » U.S. Law and The Big Four: Who’s Afraid of the Big Bad Wolf? U.S. Law and The Big Four: Who’s Afraid of the Big Bad Wolf? I have written before about the Big 4 accounting firms and the threat that these firms may pose for U.S. lawyers and law firms. The response has typically been a bit like that of the first two pigs in the old 3 Little Pigs nursery rhyme who arrogantly believed their houses of straw and twigs would protect them from the Big Bad Wolf. Going into last week’s Legalweek in New York, several legal pundits (and lawyers) made it a point to tell me Big 4 encroachment on U.S. legal can’t happen. That Sarbanes-Oxley won’t allow it. That the Big 4 don’t make enough profits to do it. That they can’t do what U.S. law firms and lawyers do. That the Big 4 isn’t at all interested in the U.S. market. That they certainly have no business or strategic plans pointed in our direction. I was starting to conclude they were right. But if a panel discussion at ALM’s recent Legalweek is any indication, perhaps these pundits may want to reconsider. The panel was composed of head of EY Legal, Rutger Lambriex, (EY is one of charter members of the Big 4), Jeremy Fudge. a lawyer with the immigration law firm, Barry Applemen Leiden that recently formed an “alliance” with the Big 4 firm Deloitte and Dan Packel, the ALM reporter who early on wrote so articulately about the alliance and its possible impact. Of these panelists, it was Rutger Lambriex who perhaps offered the most telling—and chilling—comments with respect to the state of the U.S. legal market and the future. If his views are shared by the rest of EY and the Big 4, look out. Lambriex was, of course, quick (perhaps too quick) to point out that EY is not a threat to U.S. big law; instead it’s the way the Big 4 approach things like innovation, efficiency and, well, business issues in general that pose dangers. That’s true on one level: it is these drivers that threaten the status quo. But so far these drivers have not changed U.S law much. What’s different with the Big 4 is frankly who they are: they are not just a group of some random fringe bloggers (like me) clamoring for change. Or startup tech developers or alternative service providers struggling valiantly to gain a piece of the legal pie. No. They are global service providers to some of the biggest companies in the world. They have or can get the ear of their well heeled clients many of whom routinely hire U. S. lawyers. And, as I have said before, it is these clients that will ultimately drive change. The fact that EY sees the need for innovation and automation in U.S. legal and has the means and desire to provide it is indeed what makes them so dangerous to the status quo. What are the Big 4 doing differently that poses a threat? Lambriex said it best: “we approach problems as business issues that require legal attention”. He continued, “you have to understand what the relevant areas of law are (with respect to any problem) but also what are the relevant business issues.” So cyber security is not just data breach litigation to use one of Lambriex’s examples, it’s a fundamental business problem that EY is poised to holistically and synergistically solve. Legal plays a role but it is their desire and ability to help clients through the entirety of the business issues that will ultimately enable the Big 4 to make inroads. Lawyers? Too many see legal as the tail wagging the dog. Why do clients say they want lawyers to understand their business better? Because we fail too often to see beyond the legal problems. We don’t see that the most important thing is not legal but business. The Big 4 recruit business problem solvers and innovators while lawyers look at pedigree and law school academic records. And another thing says Lambriex: EY is looking to standardize legal services, striving for greater efficiencies. He concludes, “60% of what lawyers do can be standardized and automated”. 60%. He also notes correctly that lawyers are often doing and charging for work that they are not trained to do. Legal work “should be done at the right location, at the right price by the right people”. What a refreshing concept! Lawyers? We are too busy billing hours and protecting our turf (and revenue stream) through outmoded professional rules and business models to see what our clients are really seeking. Well, you say, lawyers are sensitive to business problems and needs and share their clients business values. Are they? Is imposing a model where you bill by the hour and reward inefficiencies a business value that our clients share? Are perpetuating business models that discourage collaboration and nimble movements and decisions business values we share with our clients? Is failing to use standardization and automation tools and data analytics to get a better result at the expense of reducing billable hours a shared value? The Big 4 understand business. They value business. They share business values and goals. But you say, Big 4 isn’t interested in our market. Lambriex says EY already offers legal services in conjunction with their business advice in 80 countries around the world. 80. Right now says Lambriex there are only 2 places EY can’t offer legal services and the U.S. is one. And listen to what Lambriex says: the U.S. legal market “is a fragmented market and we want to grow” Translation: we see big upside opportunities. “It’s the mid-tier firms in the US that are most at risk.” Translation: we see lots of opportunity there. He goes on, “law firms must change their business model, or many won’t exist in a few years.” And finally “our clients are very upset with the way their lawyers treat them”. Sound like a guy not interested in our market? Does all this sound like a guy who hasn’t studied the market and doesn’t see a golden opportunity? After all, in 2017 the size of the U.S. legal market was estimated to be almost $101 billion— and growing. And EY alone has already pledged $1 billion to study and drive innovation. You say our regs and laws will preclude Big 4 entry. The alliance between Barry Appleman Leiden and Deloitte belies that theory. They already found a way; just like ALSPs and some law firms have found a way to ally and grow together profitably without running afoul of the legal regulations. And if corporate America, who the Big 4 represent, starts demanding a loosening of regulation, will the legal industry be able to withstand the pressure? What’s In It For a Law Firm? But you say law firms will resist this tooth and nail and will never marry themselves to the Big 4. But Fudge says, “we saw the Big 4 moving into the immigration space…and saw them offering the entire package of immigration services, not just legal”. And Fudge notes that one advantage to his firm is that Deloitte and its brand is known everywhere. So, when a global Delottie client needs immigration services in the U.S., who will it turn to? You got it. Not only this, says Fudge, but “the Big 4 has a war chest that helps share the costs of things like technology” and makes what was not affordable, affordable. Global connections. Expertise in any business problem. The ability to spread r and d and technology costs globally among thousands of partners. EY can easily commit to spending big dollars because those costs are spread far and wide. No wonder Lambriex thinks the second tier law firms– who have to spread such costs among what? 20 partners? 30?– are in trouble. That will never happen…until it does. Where do we go from here? I think we will see more and more Big 4/ law firm “alliances”. We may see the Big 4 gobble up some of the ALSPs; it just makes too much sense on both sides for this not to happen. And at some point, a global or national large U.S. law firm will break from the pack and ally, merge or combine with one of the Big 4. When that happens, it will be a race for the rest of big law with 2nd tier trying to join in where they can. Does this sound a little bit like the consolidation that occurred within the accounting industry creating the Big 4? And what does it mean for the legal profession? Perhaps it finally means the big changes so many have predicted will finally happen . More efficiencies. Better quality service. Legal placed in proper context within business. And guess what? That’s what our business clients really, really want. So, before you join the naysayers that say the Big 4 can’t, or wont, think about Lambriex’s comments, comments made, by the way, not in private but in a highly public forum in front of BigLaw at the premier BigLaw legal conference, Legalweek. (Lambriex and EY obviously have so little fear that U.S. law will change that have little concern about publicly revealing their roadmap). Think about the advantages to business clients the Big 4 offer. Think about how their approach meshes coherently and consistently with business values. And remember the old saying: that will never happen…until it does.